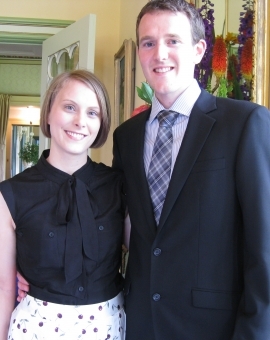 TSTA volunteer and Director Ed Doddridge has been elected as Tasmania's Rhodes Scholar for 2012. But don't worry, he won't be leaving us just yet. Ed and his wife Imogen will depart for Oxford in September and be away for at least three years. Ed will combine his nautical and mathematical interests by undertaking a doctorate in Physical Oceanography. The following news stories may be of interest to members.